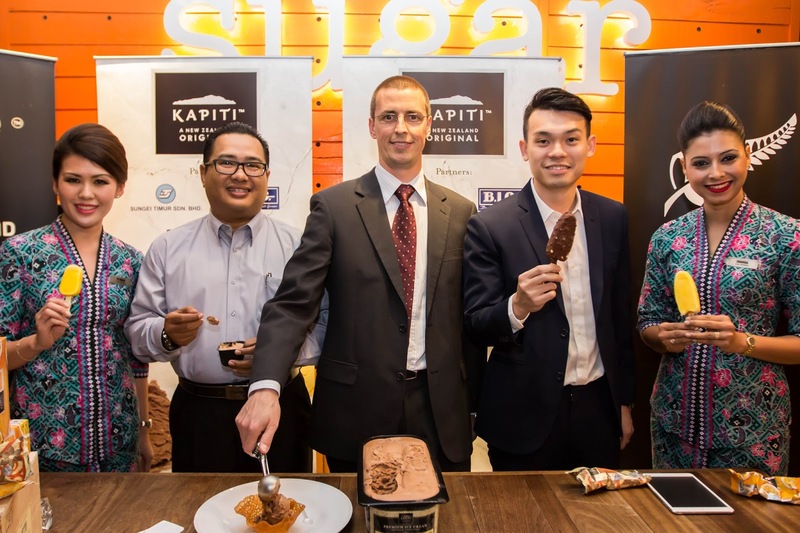 Kapiti, an iconic New Zealand ice cream brand made a cool entry into the Malaysian market recently with its range of delectable gourmet ice cream flavours in tubs, multipacks and novelty packs. 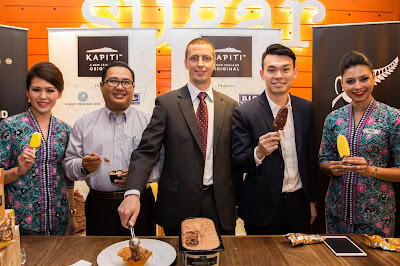 The designer ice cream received a laudable welcome into Malaysia by the New Zealand Trade Commissioner, Mr Matt Ritchie who officially launched the brand at Ben’s Independent Grocer at Publika along with Mr Darren Tan of Sungei Timur Sdn Bhd, the sole distributor of Kapiti in Malaysia. Kapiti is a premium ice cream by Kapiti Fine Foods ltd. famous for its gourmet cheeses, ice cream and other dairy products. The Kapiti brand started as a boutique cheese shop at the Kapiti Coast in 1984, founded on a dream to craft quality, award-winning and uniquely New Zealand dairy products, a dream that Kapiti remains true to until today. Mr Ritchie at the launch said Kapiti is one of New Zealand’s best-selling gourmet products and is a brand that New Zealanders are extremely proud of. “When you want to feel a sense of the land and the people of New Zealand, Kapiti ice cream invokes the senses of a sunny day overlooking the beautiful New Zealand landscape. Its distinctive taste comes from the use of real fruit and natural ingredients from New Zealand,” said Mr Ritchie. 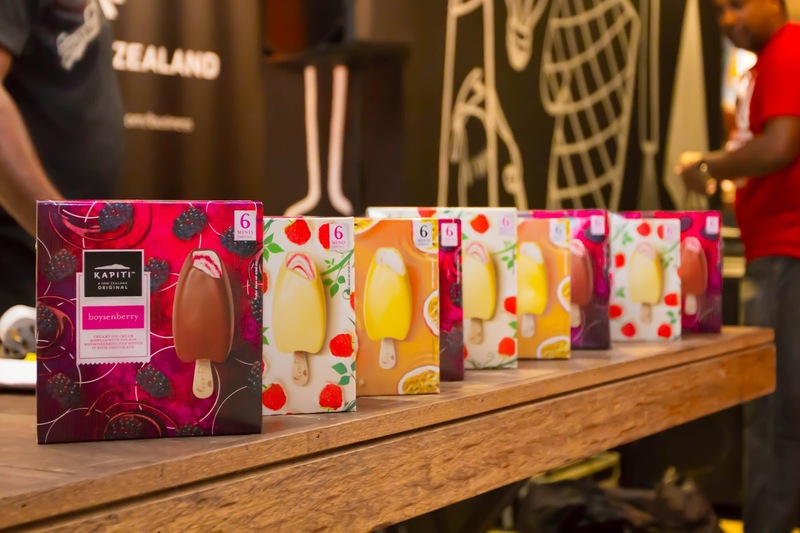 The brand’s innovative and designer flavours are regularly heralded at the New Zealand Ice Cream Awards. And it’s no wonder as only the finest and freshest ingredients sourced originally from New Zealand are used. The plump, sun drenched boysenberries that make the coulis are from the heart of Nelson, the robust sweetness of Black Doris Plums from Central Otago and the Fig and Honey is infused with Manuka honey from Cambridge. All crafted and paired perfectly with the finest dairy from New Zealand. Kapiti was initially produced for the food service industry mainly for hospitality and airlines, but has taken on its own raw individualism over the years. 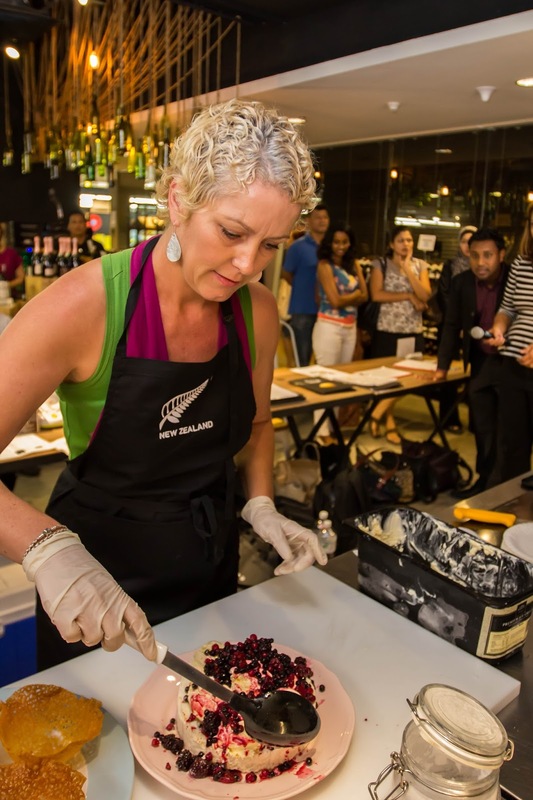 The launch of Kapiti Ice Cream was held at the newly refurbished deli Masak-masak, Ben’s Independent Grocer with The BIG Group coming in as the venue sponsor. The event was attended by Kapiti’s partners in Malaysia - Malaysia Airlines, The BIG Group and Plan B Roasters. Malaysia Airlines will be offering Kapiti ice cream in 100ml cups for their customers in-flight and at the Regional Lounge and Golden Lounge, whereas The BIG Group (Bens Independent Grocer) will offer Kapiti ice cream for sale in their frozen food sections. Plan B Roasters has partnered with Kapiti to create delicious affogatos using various flavours from Kapiti, available for their Plan B Roasters customers. “Kapiti gourmet ice-cream will tempt our guests in First, Business and selected Economy class when they travel from Kuala Lumpur to Hong Kong, Perth, Melbourne, Brisbane, Sydney, Auckland, Narita, London and Shanghai,” he added. In Malaysia, the irresistible flavours to look out for at the frozen isles of major supermarkets are the award-winning Vanilla Bean, Triple Chocolate, White Chocolate and Raspberry which are available in 1 Litre tubs at RM 38.80. The multipacks (6 sticks in a box) will feature Boysenberry Mini, White Chocolate and Raspberry Mini and Passionfruit Yoghurt Mini (RM 22.90). The 145ml Chocolate Cup which is premium vanilla ice cream, swirled with choc flakes, topped with a rich fudge sauce and crisp shell retails at RM 7.90. For the Food Services industry, available flavours in 100ml cups are Vanilla Bean, Hokey Pokey, Triple Chocolate, Doris Plum and Crème Fraiche, and Double Cookies & Cream. Flavours for the 5 Litre tubs are Vanilla Bean, Triple Chocolate and White Chocolate & Raspberry among others. 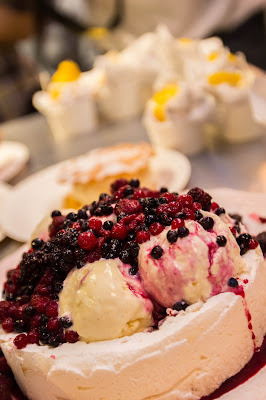 The cherry on top at the launch was the delightful demonstration by Chef Maria Conte who presented several wonderful ways to enjoy Kapiti ice cream and this ranged from having a Cupcake ice cream, enjoying it with crunchy wonton skin, or in a pavlova. 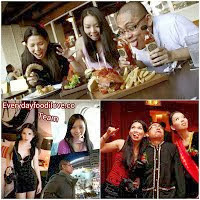 Since 1979, Sungei Timur has been a distributor of frozen foods in Malaysia, specializing in ice-cream. The company carries an exciting range of ice cream brands from all over the world, such as Tip Top, Kapiti and Mars Ice Cream. With experience and expertise in this industry, Sungei Timur takes pride in delivering deliciously thrilling brands with top-notch quality to all ice cream lovers, bringing them love and joy. Malaysia Airlines serves more than 60 destinations in almost 30 countries across Asia, Australasia, Middle East, Europe, and North America, including oneworld hubs Hong Kong, London Heathrow, Los Angeles, Sydney and Tokyo Narita. The airline describes its distinctive brand as an extension of the special culture of warmth and friendliness unique to Malaysians. This inimitable Malaysian sense of graciousness is branded as “Malaysian Hospitality” and symbolized by the acronym MH, which is also the airline’s flight code. Kapiti is a New Zealand place name. The Kapiti Coast District stretches from Paekakariki in the south to Otaki in the north. 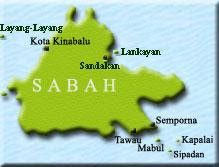 It includes several small towns and beaches. Kapiti is possibly most famous for its island, Kapiti Island. Most of the island is a pest-free bird sanctuary, where a permit is required to visit. Whether the mainland or the island, it boasts some of the most beautiful scenery in New Zealand and has a long heritage of farming, and in particular dairying. Kapiti Fine Foods Ltd is a New Zealand company producing gourmet cheeses, ice cream, yoghurts and other dairy products for domestic consumption and for export. It has factories in Paraparaumu (cheese) and Palmerston North (ice cream). Kapiti Cheeses was founded in 1984 by Ross McCallum and Neville McNaughton as a small cheese shop and boutique factory at Lindale Tourist Complex on the Kapiti Coast. Ross McCallum was a cheese maker of long standing with Kiwi Co-op Dairies, and took part in a Vocational Training Tour in 1978 through England, Europe and the United States. After the trip, McCallum saw potential for developing a specialty cheese category in the New Zealand cheese market, a new market that had been considered conservative and restrained up until that time. The shop and factory was run with only one full-time staff member, help from the families and part-time students. By 2002 Kapiti had 150 employees and retail outlets in Auckland, Christchurch and Lindale, assisted by an expansion of production facilities in 1997, and consistent annual growth. Even today, Kapiti holds true to McCallum and McNaughton's dream to craft quality, award winning and uniquely New Zealand dairy products. Kapiti ice cream and sorbet has been produced for the New Zealand food service industry since 1997, mainly for hospitality (restaurants and cafes) and airlines. They have a range of flavours inspired by New Zealand. Kapiti as a brand is all about a unique and raw individualism, premium with a distinct New Zealand flavour. Main Company : Kapiti Fine Foods Ltd.
New Zealand company producing gourmet cheeses, yoghurts and other dairy products for domestic consumption and export. Kapiti’s award winning ice cream comes in some mouth-watering flavours, including fejoa, lemon meringue pie, golden kiwi pavlova, gingernut, spicy apple crumble, fig and manuka honey, white chocolate and raspberry. 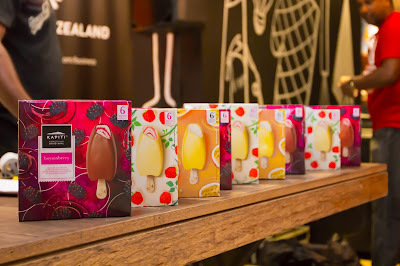 Kapiti Ice Cream further entrenched its its iconic status as a designer ice cream in 2009 with its collaboration with some of New Zealand’s renowned fashion designers. The designers created a whole new look and feel for the ice cream fusing the romance, arts and culture of New Zealand in its packaging.